The aging process involves a systematic progressive decline in every system in the body, the brain included. This includes our mental abilities which decline with age including impairments in memory, attention, and problem solving ability. It is inevitable and cannot be avoided. Using modern neuroimaging techniques, scientists have been able to view the changes that occur in the nervous system with aging. In addition, they have been able to investigate various techniques that might slow the process of neurodegeneration that accompanies normal aging. They’ve found that mindfulness practices reduce the deterioration of the brain that occurs with aging restraining the loss of neural tissue. Indeed, the brains of practitioners of meditation and yoga have been found to degenerate less with aging than non-practitioners. Hence, there is some hope for age related cognitive decline, as there is evidence that it can be slowed. There are some indications that physical and mental exercise can reduce the rate of cognitive decline and lower the chances of dementia. For example, contemplative practices such as meditation, yoga, and Tai Chi and Qigong have all been shown to be beneficial in slowing or delaying physical and mental decline with aging. Mindfulness practices have been shown to improve cognitive processes while gentle mindful exercises such as Tai Chi and Qigong have been shown to slow age related cognitive decline. 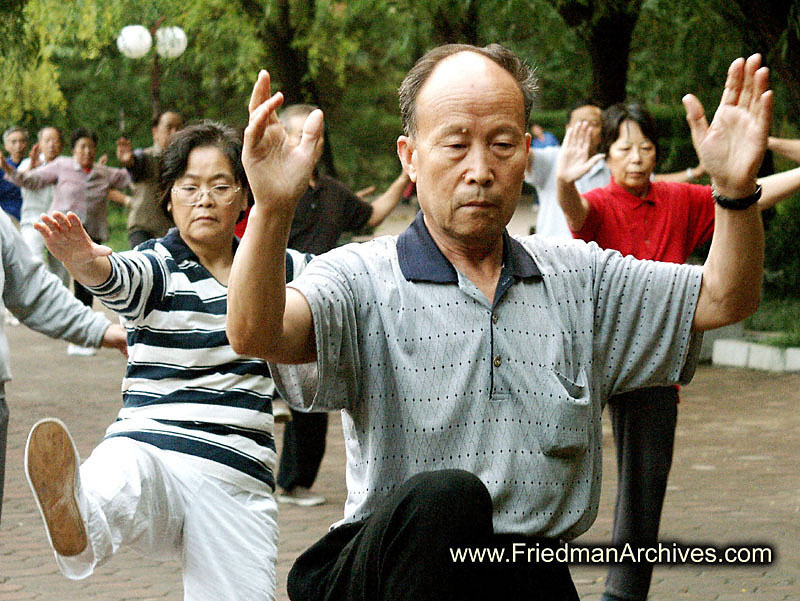 It would seem reasonable to hypothesize that Tai Chi and Baduanjin practices might decrease age related decreases in cognitive ability and degeneration of the nervous system. In today’s Research News article “Tai Chi Chuan and Baduanjin increase grey matter volume in older adults: a brain imaging study.” (See summary below or view the full text of the study at: https://www.ncbi.nlm.nih.gov/pmc/articles/PMC5659386/ ), Tao and colleagues recruited healthy sedentary older adults (50-70 years of age) and randomly assigned them to receive either Tai Chi practice, Baduanjin practice (a very similar practice to Tai Chi), or no-treatment. Practice occurred for 12 weeks, 5 days per week, for 1 hour. Before and after training the participants underwent Magnetic Resonance Imaging (MRI) scans of their brains. They were also measured for memory ability. They found that in comparison to baseline and control participants, the Tai Chi or Baduanjin practice participants had significant increases in the amount of grey matter in the left insula, left putamen, left parahippocampus/hippocampus, left amygdala, and left inferior temporal lobe. Hence, Tai Chi or Baduanjin practice appeared to produce increases in neural tissue. In addition, the Tai Chi or Baduanjin practice participants had significant increases in overall memory ability and visual reproduction memory. These improvements in memory were related to the increases in grey matter, with large increases in neural tissue associated with large improvements in memory. Hence, Tai Chi or Baduanjin practice not only increased neural tissue and memory, but the increases in both changed together in the same direction. Caution must be taken in interpreting these results as the control condition was inactive. As a result, it cannot be determined if Tai Chi or Baduanjin practice per se or any form of exercise could produce comparable benefits. Further research is needed employing other forms of exercise to compare to the effects of Tai Chi or Baduanjin practice. Nonetheless, these results are interesting and exciting. They suggest that Tai Chi or Baduanjin practice can reduce or possibly reverse brain degeneration and cognitive decline associated with aging. 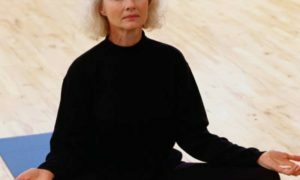 By engaging in these mindful movement practices aging individuals appear to preserve their brains and their mental ability. In addition, the fact that these practices are safe, convenient, low cost, and social suggests that they can be widely applied to the aging population. So, increase brain matter and memory in aging with Tai Chi. The aim of this study is to investigate and compare how 12-weeks of Tai Chi Chuan and Baduanjin exercise can modulate brain structure and memory function in older adults. Magnetic Resonance Imaging(MRI) and memory function measurements (Wechsler Memory Scale-Chinese revised, WMS-CR)were applied at both the beginning and end of the study. Results showed that both Tai Chi Chuan and Baduanjin could significantly increase grey matter volume (GMV) in the insula, medial temporal lobe (MTL), and putamen after 12-weeks of exercise. No significant differences were observed in grey matter volume (GMV) between the Tai Chi Chuan and Baduanjin groups. We also found that compared to healthy controls, Tai Chi Chuan and Baduanjin significantly improved visual reproduction subscores on the WMS-CR. Baduanjin also improved mental control, recognition, touch and comprehension memory subscores of the WMS-CR compared to the control group. Memory quotient (MQ)and visual reproduction subscores were both associated with GMV increases in the putamen and hippocampus. Our results demonstrate the potential of Tai Chi Chuan and Baduanjin exercise for the prevention of memory deficits in older adults. Human life is one of constant change. We revel in our increases in physical and mental capacities during development, but regret their decreases during aging. The aging process involves a systematic progressive decline in every system in the body, the brain included. Starting in the 20s there is a progressive decrease in the volume of the brain as we age. The nervous system is a dynamic entity, constantly changing and adapting to the environment. It will change size, activity, and connectivity in response to experience. These changes in the brain are called neuroplasticity. Over the last decade neuroscience has been studying the effects of contemplative practices on the brain and has identified neuroplastic changes in widespread area. and have found that meditation practice appears to mold and change the brain, producing psychological, physical, and spiritual benefits. In addition, they have been able to investigate various techniques that might slow the process of neurodegeneration that accompanies normal aging. They’ve found that mindfulness practices reduce the deterioration of the brain that occurs with aging restraining the loss of neural tissue. Indeed, the brains of practitioners of meditation and yoga have been found to degenerate less with aging than non-practitioners. In today’s Research News article “Promising Links between Meditation and Reduced (Brain) Aging: An Attempt to Bridge Some Gaps between the Alleged Fountain of Youth and the Youth of the Field.” See summary below or view the full text of the study at: https://www.ncbi.nlm.nih.gov/pmc/articles/PMC5447722/, Kurth and colleagues review and summarize the published research literature on the neuroprotective effects of meditation in the elderly. They discuss the ideas that the aging based deterioration of the brain is due to a number of processes, including changes in the DNA telomeres, inflammation, stress, and neuroplasticity and that meditation appears to effect all of these processes. There has accumulated evidence that meditation protects against age related decline at the molecular genetic level. As we age the length of a DNA structures called the telomeres progressively shorten. It is thought that the shorter the telomeres get the more difficult it becomes for cells to replicate properly and thus leads to decline. Mindfulness training in general and meditation specifically, has been shown to reduce the shortening of the telomeres with aging. Kurth and colleagues speculate that this is one mechanism by which meditation protects the brain from age related decline. As we age the natural inflammatory response that normally occurs to protect against infection begins to increase in general and lose its specificity to fighting particular diseases, pathogens, and injuries. It becomes more widespread damaging normal tissues. Mindfulness training in general and meditation specifically has been shown to reduce inflammatory responses. It seems reasonable that this is another mechanism by which meditation protects the body from age related decline. Stress is present throughout life. But if it is too intense or prolonged the biological responses to stress begin to damage the body. These stress induced changes are similar to age related deterioration. Stress effects may accumulate over time. Hence, the older we get the greater the total stress induced damage. Mindfulness training in general and meditation specifically has been shown to improve emotion regulation and to reduce the physiological and psychological responses to stress. This is hypothesized to be another mechanism by which meditation protects the brain from deterioration with aging. Neuroplasticity is a change in the size and connectivity of brain structures as they are exercised over a prolonged period of time. Mindfulness training in general and meditation specifically has been shown to produce neuroplastic changes in the brain, increasing the size and connectivity of brain structures. This process would tend to counteract brain degeneration with aging and may be another mechanism by which meditation protects the brain during aging. Hence there has accumulated evidence that meditation reduces the deterioration of the brain with aging. It appears to do so by altering a number of different mechanisms including changes in the DNA telomeres, inflammation, stress, and neuroplasticity. This protection of the brain may be responsible to the ability of meditation to reduce the decline in mental abilities that occur with aging. This would tend to make aging a more benign process. So, protect the aging brain with meditation. Over the last decade, an increasing number of studies has reported a positive impact of meditation on cerebral aging. However, the underlying mechanisms for these seemingly brain-protecting effects are not well-understood. This may be due to the fact, at least partly, that systematic empirical meditation research has emerged only recently as a field of scientific scrutiny. Thus, on the one hand, critical questions remain largely unanswered; and on the other hand, outcomes of existing research require better integration to build a more comprehensive and holistic picture. In this article, we first review theories and mechanisms pertaining to normal (brain) aging, specifically focusing on telomeres, inflammation, stress regulation, and macroscopic brain anatomy. Then, we summarize existing research integrating the developing evidence suggesting that meditation exerts positive effects on (brain) aging, while carefully discussing possible mechanisms through which these effects may be mediated. The nervous system is a dynamic entity, constantly changing and adapting to the environment. It will change size, activity, and connectivity in response to experience. For example, the brain area that controls the right index finger has been found to be larger in blind subjects who use braille than in sighted individuals. Similarly, cab drivers in London who navigate the twisting streets of the city, have a larger hippocampus, which is involved in spatial navigation, than predefined route bus drivers. These changes in the brain are called neuroplasticity. Over the last decade neuroscience has been studying the effects of contemplative practices on the brain and has identified neuroplastic changes in widespread areas. In other words, meditation practice appears to mold and change the brain, producing psychological, physical, and spiritual benefits. The seemingly simple behavior of meditation is actually quite complex. Adding to the complexity is that there are a variety of different meditation techniques. To begin to understand exactly how meditation works to produce its benefit, it is important to determine what works best and what doesn’t. So, there is a need to test and compare the effects of a variety of techniques and variations. There has been some work investigating the neuroplastic changes resulting from a number of different types of meditation techniques. But more work is needed. or see summary below. Gotink and colleagues review the published research literature on the effects of Mindfulness Based Stress Reduction (MBSR) training on the brain and compare it to the effects of long-term meditation. Participants in the studies were adults who were provided an 8-week MBSR program and had their brains scanned with functional Magnetic Resonance Imaging (f-MRI). They found that the literature reported that 8 weeks of MBSR training produced changed activity and functional connectivity in the prefrontal cortex, hippocampus, insula, and cingulate cortex. These are all brain structures that are involved in emotion regulation and behavioral response inhibition and control. In addition, the studies report decreased activity and size of the amygdala. This is a structure involved in activation and emotionality. These are very similar to the neural changes that have been reported for long-term meditators. So, it would appear that and 8-week MBSR training is sufficient to produce major changes in the nervous system reflecting changes in the psychological and emotional aspects of the individual. The practitioner’s brain is changed in such a way as to make them better in charge of their emotions and behavior. So, change your brain for the better with mindfulness based stress reduction. Literature reports that long-term meditators show altered brain activations and structure. Post-MBSR, prefrontal cortex, insula, cingulate cortex and hippocampus show similar results to traditional meditation. In addition, the amygdala shows earlier deactivation, less gray matter and better connectivity. These changes indicate a neuronal working mechanism of MBSR. Abstract: The objective of the current study was to systematically review the evidence of the effect of secular mindfulness techniques on function and structure of the brain. Based on areas known from traditional meditation neuroimaging results, we aimed to explore a neuronal explanation of the stress-reducing effects of the 8-week Mindfulness Based Stress Reduction (MBSR) and Mindfulness Based Cognitive Therapy (MBCT) program. Methods: We assessed the effect of MBSR and MBCT (N = 11, all MBSR), components of the programs (N = 15), and dispositional mindfulness (N = 4) on brain function and/or structure as assessed by (functional) magnetic resonance imaging. 21 fMRI studies and seven MRI studies were included (two studies performed both). Results: The prefrontal cortex, the cingulate cortex, the insula and the hippocampus showed increased activity, connectivity and volume in stressed, anxious and healthy participants. Additionally, the amygdala showed decreased functional activity, improved functional connectivity with the prefrontal cortex, and earlier deactivation after exposure to emotional stimuli. Conclusion: Demonstrable functional and structural changes in the prefrontal cortex, cingulate cortex, insula and hippocampus are similar to changes described in studies on traditional meditation practice. In addition, MBSR led to changes in the amygdala consistent with improved emotion regulation. These findings indicate that MBSR-induced emotional and behavioral changes are related to functional and structural changes in the brain. There has accumulated a large amount of research demonstrating that meditation has significant benefits for psychological, physical, and spiritual wellbeing. Its positive effects are so widespread that it is difficult to find any other treatment of any kind with such broad beneficial effects on everything from mood and happiness to severe mental and physical illnesses. This raises the question of how meditation could do this. Hernández and colleagues investigate the neuroplastic effects of “Sahaja Yoga Meditation (SYM). They state that SYM “shares some goals with some other meditation techniques such as Mindfulness meditation, Loving-kindness meditation or other Buddhist meditations i.e., to be fully conscious on the present moment, to reduce the wandering mind and to increase compassion and love.” However, in SYM the practitioner regularly experiences the state of mental silence or “thoughtless awareness.” This allows for an examination of the neural changes accompanying the unique state of thoughtless awareness. To investigate the neuroplastic changes produced by SYM, they compared MRI scans of the brains of expert meditators with 5 to 26 years of experience to non-meditator controls. They found that the meditators had significantly more grey matter (cortex) in their brains than controls. Areas that were particularly enlarged were the ventral lateral prefrontal cortex, the right anterior insula, the right inferior temporal gyrus, and the right inferior parietal lobe. These size increases suggest functional improvements. The insula is known to be involved in sensing internal states and emotions. The inferior temporal gyrus has been shown to be involved in alertness. The ventral lateral prefrontal cortex has been shown to be involved in emotional intelligence and attention. Hence, the expanded brain areas reflect expanded attention and alertness and regulation of emotions produced by Sahaja Yoga Meditation. This makes sense as the mindfulness meditation component of SYM would be expected to develop alertness and attention while the Loving-kindness meditation component of SYM would be expected to develop emotional sensitivity and regulation. The results clearly demonstrate that extensive practice of Sahaja Yoga Meditation, like other meditation practices expands the brains processing power particularly in regard to attention, alertness, and emotions. With these improvements in these important functions that are involved in virtually everything that a person does, it is no wonder that meditation has such widespread beneficial effects. So, expand the brain with meditation. Objectives: To investigate regional differences in grey matter volume associated with the practice of Sahaja Yoga Meditation. Design: Twenty three experienced practitioners of Sahaja Yoga Meditation and twenty three non-meditators matched on age, gender and education level, were scanned using structural Magnetic Resonance Imaging and their grey matter volume were compared using Voxel-Based Morphometry. Results: Grey matter volume was larger in meditators relative to non-meditators across the whole brain. In addition, grey matter volume was larger in several predominantly right hemispheric regions: in insula, ventromedial orbitofrontal cortex, inferior temporal and parietal cortices as well as in left ventrolateral prefrontal cortex and left insula. No areas with larger grey matter volume were found in non-meditators relative to meditators. Conclusions: The study shows that long-term practice of Sahaja Yoga Meditation is associated with larger grey matter volume overall, and with regional enlargement in several right hemispheric cortical and subcortical brain regions that are associated with sustained attention, self-control, compassion and interoceptive perception. The increased grey matter volume in these attention and self-control mediating regions suggests use-dependent enlargement with regular practice of this meditation. The nervous system is a dynamic entity that changes in response to the experiences of the individuals and the demands they place upon it. This is a process called neuroplasticity. Contemplative practices place demands upon the brain and as a result produce neuroplastic changes increasing the size, activity, and connectivity of some structures while decreasing them in others (see http://contemplative-studies.org/wp/index.php/category/research-news/brain-systems/). In other words, contemplative practices appear to mold and change the brain. We all want to live longer. We celebrate the increasing longevity of the population. But, aging is a mixed blessing. The aging process involves a systematic progressive decline in every system in the body, the brain included. It cannot be avoided. But, there is evidence that it can be slowed. Contemplative practices such as meditation, yoga, and tai chi or qigong have all been shown to be beneficial in slowing or delaying physical and mental decline with aging (see http://contemplative-studies.org/wp/index.php/category/research-news/aging/). Using modern neuroimaging techniques, scientists have been able to view the changes that occur in the nervous system with aging. In addition, they have been able to investigate various techniques that might slow the process of neurodegeneration that accompanies normal aging. They’ve found that mindfulness practices reduce the deterioration of the brain that occurs with aging restraining the loss of neural tissue (see http://contemplative-studies.org/wp/index.php/category/research-news/brain-systems/). Indeed, the brains of practitioners of meditation and yoga have been found to degenerate less with aging than non-practitioners. Laneri and colleagues performed diffusion tensor imaging (DTI) on a group of adult long-term meditators and a comparable group who had never meditated. DTI measures the volume, connectivity, and integrity of white matter. They specifically investigated five areas of the white matter that are connected to areas that had previously been shown to be affected by meditation practice. They found that four of the five areas investigated, Thalamus, Insula, Amygdala, and Hippocampus had significantly higher volume and activation in the meditators relative to the control participants. In addition, the meditators did not show the age related decline in volume and activation in all five structures that was apparent in the non-meditators. In other words, long-term meditation practice appears to spare the connections between key structures in the brain from age related declines. This supplements previous findings of increases in grey matter volume in these areas in meditators. These results, together with previous studies of meditation effects on the brain suggest that meditation not only increases the size of neural areas but also the size and activation of their interconnections. Hence meditation appears to result in improved function in these areas. Importantly, these results suggest that meditation practice also helps to maintain the integrity of these structures during aging. These may be the neural changes underlying the protection that meditation produces from cognitive decline that occurs in aging. Hence, meditation is an anti-aging practice. It may help to keep our nervous systems healthier for longer and as a result keep our mental abilities sharp for longer. So, protect the brain from aging with meditation. If we are lucky enough to survive long enough we’ll all have an opportunity to experience the aging process. It is a systematic progressive decline in every system in the body. It cannot be avoided. But, there is evidence that it can be slowed. Contemplative practices such as meditation, yoga, and tai chi or qigong have all been shown to be beneficial in slowing or delaying physical and mental decline with aging (see links below). Using modern neuroimaging techniques, scientists have been able to view the changes that occur in the nervous system with aging. In addition, they have been able to investigate various techniques that might slow the process of neurodegeneration that accompanies normal aging. They have found that contemplative practices of meditation and yoga restrain the loss of neural tissue with aging. The brains of practitioners degenerate less than non-practitioners. The hippocampus is a large subcortical structure that has been shown to decrease in size and connectivity with aging. It also has been found that long-term meditators are somewhat protected from this deterioration. A part of the hippocampus known as the subiculum is of particular interest because it decreases in size with aging and is associated with memory and spatial ability, both of which decline with aging. In addition, the subiculum appears to be larger in long-term meditators. But it has yet to be seen if the age related deterioration of the subiculum is spared with meditation. Kurth and colleagues investigate this question by looking at the size of the subiculum in meditators and non-meditators ranging in age from 24 to 77 years. They found that the non-meditators showed the expected decrease in size of the subiculum with aging. But there was no significant decline in the subiculum size on the left side with aging with the meditators. Hence, the findings of Kurth and colleagues suggest that meditation practice protects an important part of the brain from deteriorating with age. This is interesting and important and could reflect the mechanism by which meditation decreases the aging individual’s loss of memory and spatial ability. Meditation is known to decrease the physiological and psychological responses to stress. In addition, stress including childhood trauma is known to produce a reduction in the size of the subiculum on the left side. It follows then the neuroprotective effects of meditation on the age related deterioration of the left subiculum may result from meditations known ability to reduce stress. Further research will be required to test this idea. Regardless, the results clearly demonstrate that meditation can result in less deterioration with aging of an important part of the brain. So, meditate to reduce brain loss with aging. Mindfulness practices are known to increase the activity, size, and connectivity of neural structures (see http://contemplative-studies.org/wp/index.php/2015/08/01/this-is-your-brain-on-meditation/ and http://contemplative-studies.org/wp/index.php/2015/07/19/spirituality-mindfulness-and-the-brain/ and http://contemplative-studies.org/wp/index.php/2015/08/03/make-the-brain-more-efficient-with-meditation/). Yoga practice has been shown to decrease age related brain deterioration. ( See http://contemplative-studies.org/wp/index.php/2015/07/17/age-healthily-protect-the-brain-with-yoga/). The nervous system changes dramatically during development. It is a time when the brain is greatly affected by the environment and experiences of the individual. This is what neuroscientists call neuroplasticity. It is present in adulthood, but is particularly evident and important during development. The nervous system is molded to efficiently analyze the environment presented. Studies of the development of the nervous system during adolescence have revealed marked changes occurring throughout the teen years. The brain doesn’t look like that of an adult until the early 20s. Over the course of childhood the outer layer of the nervous system, the cortex, increases in thickness and then during adolescence thins. Late adolescence is a time of brain development when the highest levels of intellectual development are being produced by refinements in the structures of the nervous system. The thinning of the cortex is thought to reflect a pruning of cortical systems making processing more and more efficient. It is making the nervous system more efficient and tuned to the environment in which it is immersed. It is thought that many of the emotional and behavioral problems during adolescence occur due to the fact that the neural systems underlying emotional reactivity and expression are fully developed well before the development of the higher processes that regulate and control the emotions and the responses to the emotions. As a result, adolescent behavior can be overly determined by emotion. This can potentially explain the high rates of teen suicide, reckless, thrill seeking behavior, and social anxiety. The erratic emotion driven behavior of the teen years is reflected in the teen nervous system. Mindfulness has been shown to be associated with emotion regulation. The higher the level of mindfulness the better able the individual is in experiencing emotions at a manageable level and responding to them adaptively and appropriately (see http://contemplative-studies.org/wp/index.php/2015/09/10/take-command-and-control-of-your-emotions/). Hence, it makes sense to study the development of the brain, mindfulness, and emotion regulation during adolescence. Perhaps mindfulness can compensate for some of the emotional dominance of behavior in the teen. Friedel and colleagues use MRI neuroimaging to measure brain structure of males and females at age 16 and again at age 19 to view the changes occurring during late adolescence. They also measured mindfulness, emotional self-regulation, attention, inhibitory control, frustration, as well as behavioral aggression and depressive mood. High levels of mindfulness were found to be associated with higher levels of cognitive reappraisal, attention and inhibitory control, and lower levels of self-reported frustration, aggression and depressive mood. In other words, the adolescents who were very mindful were in better control of their emotions. Friedel and colleagues then compared the brains at 16 years to those at 19 years and observed the expected thinning of cortical regions over this period. They found that mindfulness was associated with less thinning of an area called the Insula and that this was also associated with intelligence. They also found that the higher the level of mindfulness the less thinning of the Insula occurred and the higher the IQ test score. These are intriguing findings. The Insula is an area of the cortex that has been found to be associated with interoceptive awareness, that is with the individual’s sensitivity to and awareness of their internal state. This is important for regulating emotions as the first step in regulating is actually becoming aware that they are occurring. Hence, the results suggest that the improved emotion regulation that is associated with mindfulness during late adolescence may be due to improved awareness of the emotional state and that this is due to less thinning of the Insula region of the cortex. So, develop the brain mindfully and develop a more in-control teen. The nervous system is constantly changing and adapting to the environment. It will change size, activity, and connectivity in response to experience. For example, the brain area that controls the right index finger has been found to be larger in blind subjects who use braille than in sighted individuals. Similarly, cab drivers in London who navigate the twisting streets of the city, have a larger hippocampus, which is involved in spatial navigation, than predefined route bus drivers. These changes in the brain are called neuroplasticity. Over the last decade neuroscience has been studying the effects of contemplative practices on the brain and has identified neuroplastic changes in widespread areas. Boccia and colleagues summarize the current state of research on the effects of meditation on the nervous system. They show that meditation activates a network of brain areas that over time, in experienced meditators, increases in size and in the ability of these areas to interact (increased connectivity). The particular parts of the brain that are affected by meditation are areas that have been demonstrated previously to be involved in self-referential processes, including self-awareness and self-regulation, attention, executive functions, and memory formations. The altered structures have functions that align perfectly with the types of changes observed in expert meditators. These include increases in present moment awareness of the self and the environment, sustained attention, cognitive ability, memory ability, the abilities to regulate emotions and responses to emotions. Hence, it appears that meditation alters the nervous system in important ways that result in changes in the individual’s psychological and physical makeup that in turn affect health and wellbeing. So, meditate and improve your brain. The aging process involves a progressive deterioration of the body including the brain. It actually begins in the late 20s and continues throughout the lifespan. It cannot be stopped or reversed. But, the deterioration can be slowed and to some extent counteracted. This is true for both physical and mental deterioration including degeneration and shrinkage of the nervous system. Aging healthily to a large extent involves strategies to slow down the deterioration. Meditation has been shown to slow down the deterioration of the nervous system with aging. It acts by increasing the amount of grey matter in the brain through a process referred to as neuroplasticity. Brain areas that are heavily used tend to grow larger while those that are underutilized tend to grow smaller. Villemure and colleagues demonstrate for the first time that yoga practice also protects the nervous system from deterioration. They showed that with age there was a decline on brain grey matter volume in healthy physically active people, but there was no decline in experienced yoga practitioners. Interestingly, the more yoga practice the better the protection, the higher the grey matter volume. Yoga consists of postures, breath practice and meditation. It appears that the combination of postures and meditation are the most significant aspects of yoga practice for neuroprotection. It was already known that meditation helped to protect against age related brain deterioration. These results suggest that yoga adds another neuroprotective element in practicing postures. Yoga practitioners had larger sensory cortex areas than non-practitioners. This is probably because of yoga’s emphasis on paying attention to sensations and visualization techniques used during practice. Also, the largest effects of yoga were seen in the left hemisphere. There is strong evidence that the left hemisphere is responsible for positive emotions. This then suggests that yoga promotes happiness by increasing the size of the left hemisphere. In addition, enlargement was seen in areas responsible for stress management. This provides a potential mechanism for yoga’s ability to relieve stress. These are exciting findings. The results could provide credence for the long rumored ability of yoga to increase lifespan. They also suggest that the meditative aspects of yoga are very important and that using yoga simply for exercise may be ignoring very important aspect of yoga for the protection of the brain. So, practice yoga and age healthily. is focused on the physical deterioration in aging. As we age we increase body fat and loose muscles mass and strength. The bones become less dense and weaker and thereby more prone to breaking. Cartilage that lines the joints tend to thin leading to arthritis and the ligaments that hold the muscles and joints together tend to harden making us less flexible and prone to injury. Inactivity in aging can exacerbate all of these musculoskeletal changes. Yoga practice appears to help to slow or reverse these changes. Today’s article demonstrates that the increase in fat mass with aging and the consequent increase in body weight are slowed by daily Hatha yoga practice. The decreased muscle strength as well as the decreased flexibility is also slowed in yoga practitioners. Hence, yoga is an excellent practice for maintaining the individual’s strength, flexibility, and body composition all of which are important for healthy aging. In addition to the direct benefits there are also a plethora of indirect benefits. The individual looks and feels better. This can lead to improved self-image and even higher levels of activity. These in turn can lead to more frequent and better social interactions. This in addition to the social interactions inherent in group yoga practice. The loss of these social interactions are a major contributor to loneliness and depression in aging. Hence, indirectly, yoga practice can lead to improved social and psychological health. So, age healthily by practicing yoga!